Revenues total €5.8 billion, in line with the first quarter of 2012, as growth in the agricultural machinery and engines businesses were able to offset more challenging trading conditions in the construction equipment and truck and commercial vehicles sectors. Agricultural and Construction Equipment (CNH) posted revenues of €3,797 million, with a 0.7% increase over the first quarter of 2012. An 8.3% increase in Agricultural Equipment net sales, driven by higher volumes, positive net pricing and favorable product mix, more than compensated for the challenging market conditions in the Construction Equipment segment. Global market share in Agricultural Equipment was in line with the market for tractors, and higher for combines. For Construction Equipment, gains in Latin America were offset by reductions in North America and the EMEA & CIS regions. Trucks and Commercial Vehicles (Iveco) reported revenues of €1,825 million, a 3.9% decline over the first quarter of 2012 as a result of volume declines that reflected weaker trading conditions in Europe. Total deliveries (including buses and special vehicles) decreased 3.9% to 27,121 vehicles, with the light segment down 3.2%, medium down 16.2% and heavy down 5.9%. By region, total unit deliveries were down 2.7% in EMEA, 6.6% in Latin America and 6.4% in APAC. The Powertrain business (FPT Industrial) achieved revenues of €740 million, a 9.1% increase attributable to higher volumes. Group trading profit was €408 million, down €23 million over the €431 million trading profit for the first quarter of 2012. Trading margin came in at 7.0% (7.4% in the first quarter of 2012), with margin expansion in the agricultural sector only partially offsetting the reduction in volumes and capacity utilization in the construction equipment and truck sectors. The Agricultural and Construction Equipment sector recorded a strong performance for the period with trading profit at €411 million (€368 million for the first quarter of 2012) and trading margin at 10.8% (9.8% for the first quarter of 2012). Volume growth and positive net pricing in the Agricultural segment more than compensated for volume declines in the Construction segment and an overall increase in selling, general and administrative costs and R&D costs. The Trucks and Commercial Vehicles sector closed the first quarter with a trading loss of €9 million (trading profit of €63 million for the first quarter of 2012). The decrease was attributable to lower volumes, a more challenging pricing environment in Europe, capacity ramp up costs in Brazilian operations, and negative exchange rate impacts. The Powertrain sector reported trading profit of €12 million (trading margin: 1.6%), compared with €14 million (trading margin: 2.1%) for the same period in 2012. The difference was primarily attributable to an increase in R&D costs aimed at maintaining technological leadership. The Group closed the first quarter of 2013 with operating profit of €369 million (€431 million for the first quarter of 2012), reflecting the €23 million reduction in trading profit, as well as €39 million in unusual items. Gains (losses) on disposal of investments were zero for the first quarter of 2013 and the first quarter of 2012. Restructuring costs totaled €8 million (zero for the first quarter of 2012). There was other unusual expense of €31 million associated with the unwinding and consolidation of the former joint venture with Barclays within the Group’s Financial Services business (zero for the first quarter of 2012). Net financial expense totaled €113 million for the first quarter of 2013, compared with €117 million for the same period in 2012, with the impact of lower funding costs largely offset by higher foreign exchange losses. Result from investments for the first quarter of 2013 totaled €20 million, in line with the first quarter of 2012. Profit before taxes totaled €276 million, compared with €334 million for the first quarter of 2012. The €58 million decrease primarily reflects lower operating profit. Income taxes totaled €105 million (€132 million for the first quarter of 2012), mainly related to taxable income of companies operating outside Italy. The effective tax rate of 38% is in line with expectations for the full year. The Group closed the first quarter of 2013 with net profit of €171 million (€195 million excluding unusual items), compared with €202 million for the first quarter of 2012. Profit attributable to owners of the parent was €138 million in the first quarter of 2013, compared with €177 million for the same period in 2012. Equity attributable to owners of the parent of Fiat Industrial at March 31, 2013 is €4,923 million compared with €4,628 million at December 31, 2012. At March 31, 2013, consolidated net debt totals €17,578 million, up €1,584 million over the €15,994 million figure at year-end 2012. Excluding currency translation differences of approximately €291 million, the remaining increase was attributable to a net cash outflow for operating activities, growth in the loan portfolio for financial services companies, and capital expenditure for the period. 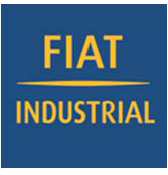 On February 7, 2013 Fiat Industrial S.p.A. completed renewal of a 3-year €2 billion committed revolving credit facility with a group of twenty-one banks. The facility is available for general corporate purposes and working capital requirements and replaces the 3-year €2 billion facility originally signed in December 2010.